Our solar surveillance system is perfect for whether you’re seeking surveillance for an event, a property or a construction site. Finally, we have a cost effective solution! 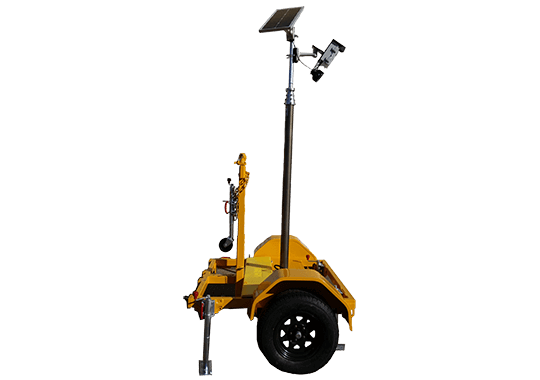 Our units are made here in Australia and are 100% solar powered, therefore offering you the highest quality equipment. Because of their solar powered technology, they are entirely wire free! 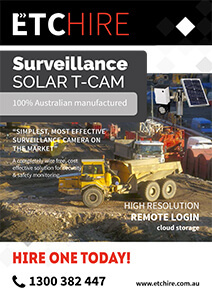 In addition, our Solar Cam is a compact unit with immense power. Furthermore, it is perfect for monitoring wet days when the site is empty. It’s also useful to monitor multiple sites with its quality surveillance system. Another great feature is the ability to time lapse! 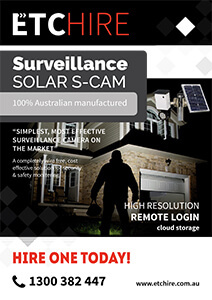 While the Solar Cam is discrete, it operates with up to 30 motion detectors to cover large areas. Furthermore, you can access your property at any time remotely via your smart device. As a result, images are stored to a cloud database and are accessible for up to 30 days. 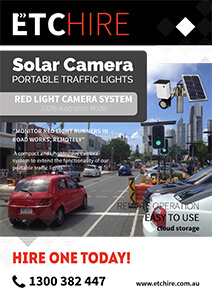 As a result of attaching the system to our Portable Traffic Lights you can monitor all movements and red light runners. 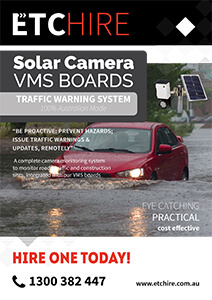 Furthermore, with the system attached to the VMS Board, you can monitor all traffic conditions. Providing issue warnings to motorists is also simple and effective too. These issue warnings can display warnings such as: flood warnings up ahead, roads closed and traffic delays, etc. Since you can remotely control the system, you can also monitor what conditions surround roads. Due to this, linking the board to the conditions of the road is just as easy; remotely display your new message/symbol from another location.